Serverpoint Review 2019: Is Serverpoint a Good Hosting? ServerPoint offers modern and reliable infrastructure that they own and operate themselves. Their packages feature unlimited resources, great support, and even the extremely easy-to-use Weebly website builder. ServerPoint has been in business for over two decades, having served tens of thousands of different customers since their inception. They are partnered with some of the biggest names in website hosting, including cPanel, Plesk, Weebly, CloudLinux, and many more. One of their strengths is that they don’t outsource their infrastructure to others, instead preferring to own and operate their own network of servers. This ensures the highest quality for their customers. ServerPoint claims to provide better performance for WordPress websites, having fine-tuned their servers to deliver added performance to these installations. Their servers fully support the HTTP/2 protocol, which allows better page loading speeds in modern browsers. They have data centers in six different locations around the world: four in the United States, one in Amsterdam, and the other in Singapore. When you sign up for an account with them, you can choose your preferred data center, which is a feature not many website hosting providers allow. To manage your websites, you’ll get access to an easy-to-use control panel. Using the control panel interface, you can access your files, check on your resource usage, add subdomains, and install different scripts and applications on your website. They’ve also formed a partnership with Weebly to offer their free website builder as part of their packages. All you have to do is choose a template from over a hundred well-designed templates, add your content, and then publish the website. If you’re interested in paid Weebly packages, you can buy them through ServerPoint and use them on your website easily. This way, you get Weebly’s powerful website builder and ServerPoint’s modern infrastructure to deliver the best performance for your website. ServerPoint makes it quite simple to choose a package for your hosting account. You have two options. You can either opt for the Starter package, which only allows a single website, or you can choose the Premium package, which allows up to 25 websites to be hosted on your account. There is, of course, no variety here, but the lack of options also means you won’t spend much time agonizing over which plan would be better for you. If you opt for the Starter package, you get 100GB SSD RAID storage space with unlimited bandwidth, 25 email accounts, and unlimited MySQL databases. As soon as you need to host an additional website, you’ll have to move on to the Premium package. This offers unlimited disk storage, email accounts, and bandwidth. While most of the standard features remain the same, you do get better spam protection, a higher allocation of server resources for greater performance, and a 30-day retention of daily backups. ServerPoint also has cloud, cloud VPS, and dedicated server hosting packages available. ServerPoint only has two shared hosting packages available, which keeps things straightforward. Both plans are an incredibly good value considering the features and resources included. However, neither plan includes SSL certification or a dedicated IP address: this will come at an additional cost. You can utilize the 30-day money back guarantee to test out their features. The package actually details a 45-day money back guarantee; however, this contradicts their Terms of Service, which clearly mention only a 30-day money back guarantee. Note that this money back guarantee does not apply to the Weebly Starter or Pro add-ons. The knowledge base section on ServerPoint’s website will answer most of your queries, but if it doesn’t, you can always get on the live chat and ask for help. It took them just under two minutes to answer my query, which was decent. You can also call them via their toll-free number, or submit a support ticket that will then be answered in under ten minutes. They take a lot of pride in their customer service and claim to never outsource their support, which shows how much they care about the customer experience. With ServerPoint’s expert support team and commitment to customer satisfaction, you are guaranteed a trouble-free experience with them as your host. Their solid customer support and Weebly website builder are two good reasons one should opt for them. 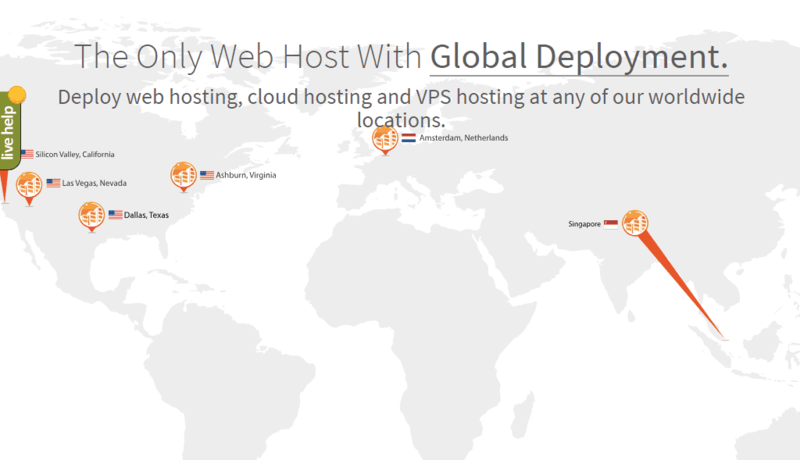 Wondering how Serverpoint stacks up against other Web Hosting companies? Enter any other Web Hosting company and we will give you a side-by-side comparison.